Greetings from the frozen Midwest! On Sunday and Monday, a number of literary awards were announced at the American Library Association's Midwinter conference in Seattle. Although I wasn't in attendance, I was following along as best I could on Twitter. 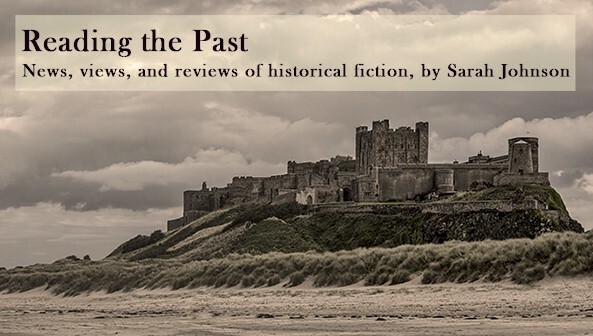 Here are the historical novels that were honored at the conference (and please let me know if I've missed any). Links go to the ALA press releases. I had reviewed some of them, too, and will link to the reviews where applicable. 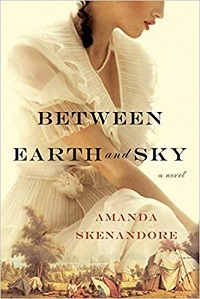 In the Historical Fiction category, the winner was Amanda Skenandore's Between Earth and Sky (Kensington), which focuses on a woman, her childhood friendship with a Native American man, and the forced assimilation taking place at Indian boarding schools in the late 19th century. A Well Behaved Woman: A Novel of the Vanderbilts, by Therese Anne Fowler, about Alva Vanderbilt. In the category of Horror, the winner was The Silent Companions by Laura Purcell, a creepy and unusual haunted house story set in 1860s England. 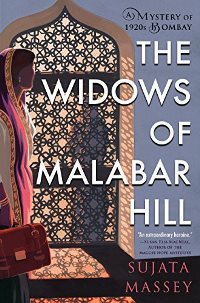 In Mystery, The Widows of Malabar Hill by Sujata Massey, a mystery about the first woman lawyer practicing in 1920s Bombay, was the category winner. The winner of the 2019 Sophie Brody Medal for Achievement in Jewish Literature was The Watchman of Old Cairo by Michael David Lukas, a multi-period novel about a university student discovering his family history in Cairo, Egypt. Michael Ondaatje, Warlight, literary fiction set after WWII. Among the Alex Award winners, for adult fiction that appeal to teen readers, were Madeline Miller's Circe and Naomi Novik's historical fantasy Spinning Silver. Catherine Gilbert Murdock, The Book of Boy, a medieval adventure novel. ... and the Margaret A. Edwards Award, for lifetime achievement in writing for young adults, went to M. T. Anderson, who has written many historical novels for that age group, including The Astonishing Life of Octavian Nothing. I confess I have only completed Circe, though I did start Octavian Nothing years ago and was overwhelmed by my TBR pile. Circe is wonderful! She was faithful to the myth, but gave it a wonderful twist. You really could see it from Circe’s viewpoint. I've had a copy of Octavian Nothing on the TBR for a long time also! I really enjoyed Circe, but found it to be much closer to mythological fantasy than historical fiction. I'm sorry to say I haven't read any of then. Yet. I usually read backlist and get caught up eventually. The Widows of Malabar Hill and Washington Black are high on my list and I'm intrigued by The Watchman of Old Cairo. Washington Black and The Watchman of Old Cairo have moved up further on my TBR pile. The latter didn't really catch my attention until recently, though I'd heard of it... sounds like it's time to give it another look. The Widows of Malabar Hill was one of my top books for 2018. This author has a great career ahead of her. Same here - it was a favorite of mine too. I read The Widows of Malabar Hill, and I loved it. I'm looking forward to reading the second book in the series. Me too. I have a copy via NetGalley, and it took a while to get approved, but I'm sure it will be worth it!